The Military Property Agency is a state organisation supervised by the Minister of National Defence. Within the framework of the project consisting in the creation of a corporate portal and providing support (SLA), we were also responsible for the SEO/SEM project including remarketing in the Google advertising network. presence of the AMW portal within the first 10 search results on google.com. suggestions for keywords - resulting from the analysis of statistics and information architecture, assessments of target groups’ preferences (search engine enquiries) as well as industry practices - we created a list of phrases that became a key element of the adopted strategy. We increased the website reach by over 25 per cent (year-to-year). The website availability to disable people was improved (WCAG 2.0). The average result (SERP) for selected key phrases is position 1 - 4 on google.com. 11 million views of advertising banners and 110 thousand visits from the remarketing campaign on google.com. 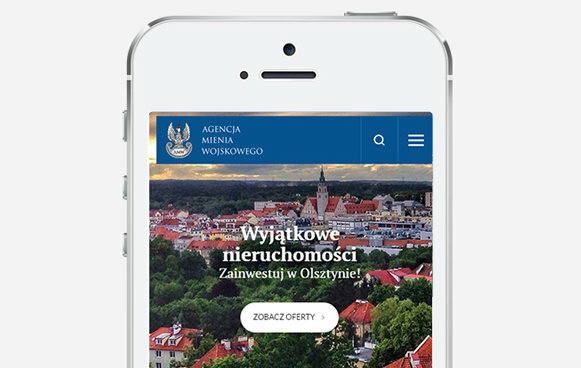 The AMW.COM.PL portal has advanced administrative functions implemented. On the public level, the website complies with WCAG 2.0 (Web Content Accessibility Guidelines), SEO and RWD (Responsive Web Design) requirements. As a result of our cooperation, a project meeting our requirements was implemented. Due to this, we recommend Visual Media as a reliable and professional partner.